Rustic wood porcelain tile is perfect for you if you love the appearance of wood but aren’t too keen on the labor-intensive installation process, cost or maintenance involved with caring for wood flooring. As its name implies, rustic wood porcelain tile is simply porcelain tile that has the appearance of rustic wood. There are numerous benefits to choosing to use this flooring option in your Brooklyn, Manhattan or Queens home. 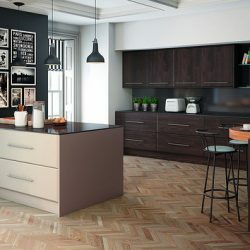 It will help you to create the vintage look you want your kitchen to have without actually. At the same time, you won’t need to install wood flooring. One of the most advantageous aspects about vintage wood porcelain tile is that because the flooring option is made out of tile, it has a long lifespan. Porcelain tile is known for its resilience, so it can withstand the high traffic that it’ll likely receive and resists showing signs of wear and tear more than natural wood flooring. 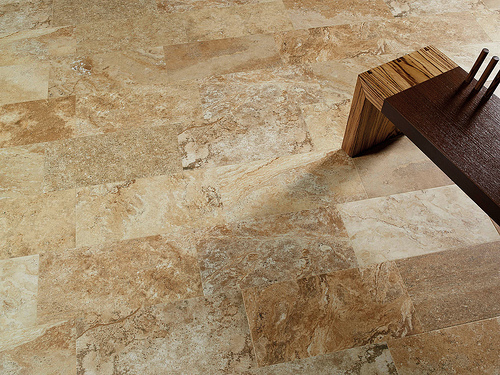 Porcelain tile is designed for performance. This means that it’s meant to hold up for many years to come. Another one of the major benefits that rustic wood porcelain tile offers is that it is moisture resistant. Wood tends to warp and buckle when it’s placed in areas where there is lots of moisture. Porcelain tile won’t do that. Vintage wood porcelain tile will allow you that warm, charming look and feel of natural wood in moisture-prone areas like kitchens, bathrooms and basements. It will exclude all the hassle and maintenance that comes with treating and caring for wood flooring that is placed in those high moisture areas. Porcelain is moisture resistant. When you use grout to seal the tiles, then the tiles will be even more resistant to moisture and mold development. Vintage wood porcelain tile is energy efficient as well. The vintage wood appearance of the tile can provide you with that inviting, natural wood look. The porcelain tile will remain cool to the touch when you have your air conditioning unit on during the hot summer months. If you want to keep your porcelain tile warm in the winter months, you might consider executing one of the most innovative porcelain flooring ideas to hit the market – radiant heating. By installing radiant heating beneath your porcelain tiles, you can experience a spa-like atmosphere in your bathroom with toasty flooring beneath your feet when you step out of the shower or bathtub. Likewise, you can install radiant heating anywhere where you install porcelain tiling. Just make sure you install the radiant heating first before laying the tiles. Vintage wood porcelain tile comes in a variety of options. When you’re looking for porcelain flooring ideas, there are numerous types of vintage wood tiling options to choose from. 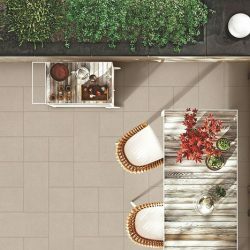 For instance, execute porcelain flooring ideas that feature vintage flooring in Redwood, Botanica, Salvage or Woodstone, selecting from light and dark hues to get the exact tone and ambiance that you’re looking to create throughout your home. 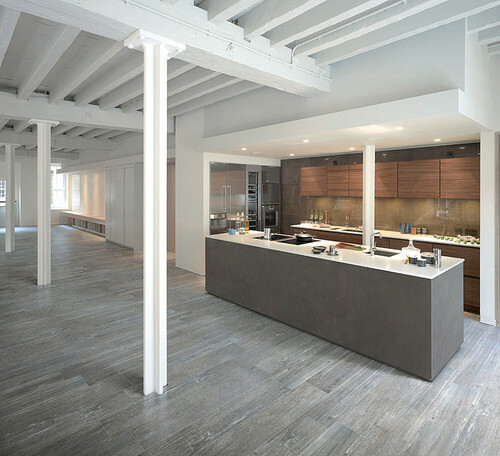 Porcelain tiles don’t require as much maintenance as natural wood flooring. They are resistant to spills, water, and pet accidents. When accidents such as these do occur, they are relatively easy to clean up. This is especially true if the porcelain tiles are properly sealed and if the floors are glazed. All you’ll have to do is sweep and mop the floors to keep them clean and fresh. Rustic wood porcelain tile is also hypoallergenic. This means that they reduce the amount of allergens in your home. This is especially beneficial if you have pets in your home and if you harbor allergies to dust. The tiles are fired in kilns that reach extremely high temperatures. They’ll carry little to no volatile organic compounds (which can contribute to health issues) once they’re completed. Also, because they don’t require any wood to be cut down, they are economically-friendly. 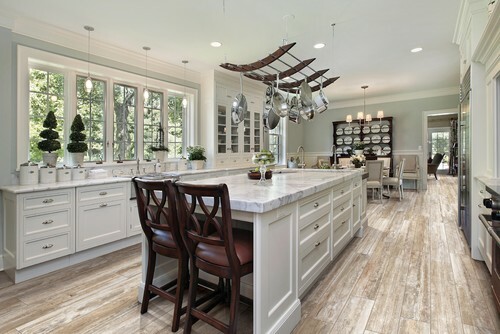 You can indeed create the vintage kitchen that you’ve always wanted by using rustic wood porcelain tile that merely has the appearance of wood, but comes with all the advantages that porcelain tile has to offer. Plus, most people won’t even know that the tiling isn’t natural wood unless you tell them. Contact Home Art Tile today for an advice and a free estimate.